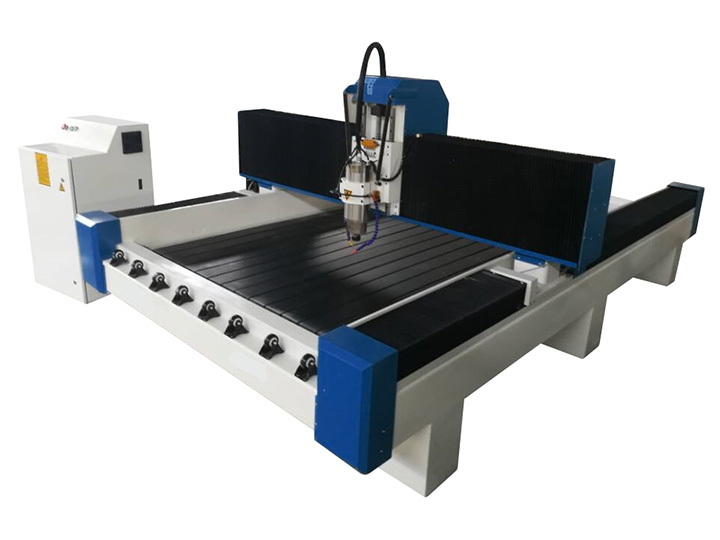 Affordable stone CNC router STS1325 is suitable for carving natural marble, granite, bluestone, sandstone, artificial stone, tombstone, milestone, headstone, etc. Now the best stone CNC router for sale with low price. 1. T type heavy duty machine structure, good weight bearing capacity, not easy to deformation, the special machine bed design, can bearing more than 2000kgs materials. 2. The special designed Zaxis, can increase the stone relief accuracy, can solve the Zaxis belt or ball screw breaking problem thoroughly. 3. The water proof and dust proof system for X Y Zaxis, can protect all the parts, reduce the machine fault, enlarge the life time. 4. High-performance driven motor to ensure that the machines high speed and accuracy. 5. Using well-known domestic brands of water-cooled brushless spindle, low noise, strong cutting ability to ensure the long time working. 1. Lathe bed welded with thick channel steels and square tubes;Processed by high temperature tempering treatment and vibrating stress relief(VSR) to reduce residual stress,good stability,no deformation. 2. Using the higher precision rack pinion transmission, higher accuracy, fast speed and powerful. 3. High-speed water cooling spindle and high performance subdivision driver ensure to work stably for long time. 4. With practical and easily-learned software, it can conveniently check the moving path of tool, and adjust the processing depth of Z axis and the speed of motor. 5. 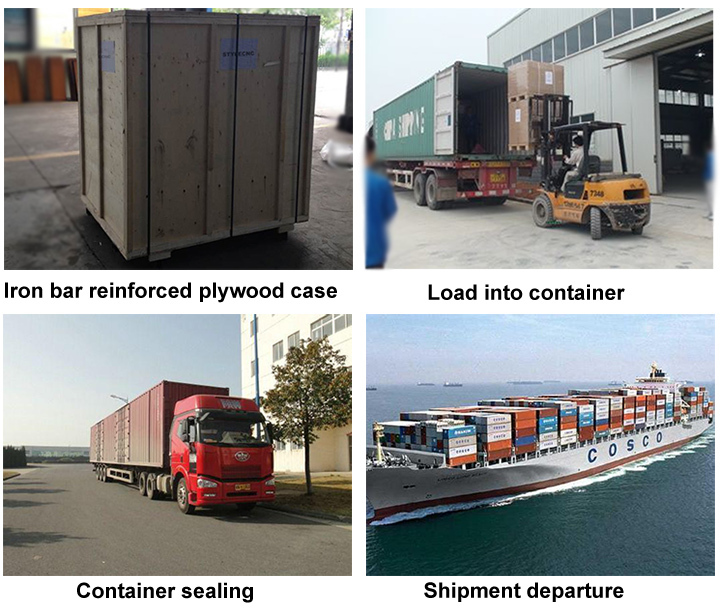 Designer perfectly, select the best machine accessories to minimize the failure rate preferred . 6. Breakpoint specific memory, power outages continued carving, processing time forecast, and other functions to ensure that accidental processing. 7. With water tank and double water cooling system, high efficient works. 1. 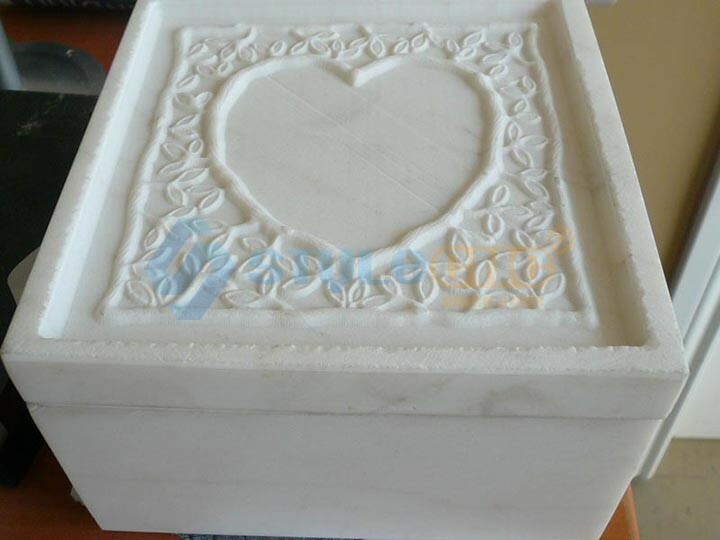 The affordable stone CNC router is suitable for natural marble, granite, bluestone, sandstone, artifical stone, tombstone, milestone, ceramic tile, jade, crystal, ceramics, glass, plastic, wood, bamboo, cambered surface, sphere, stainless steel, iron, copper, aluminium, titanium alloy, etc, it can do 3D embossment, line engraving, bevelling, drilling and 2D carving. 2. 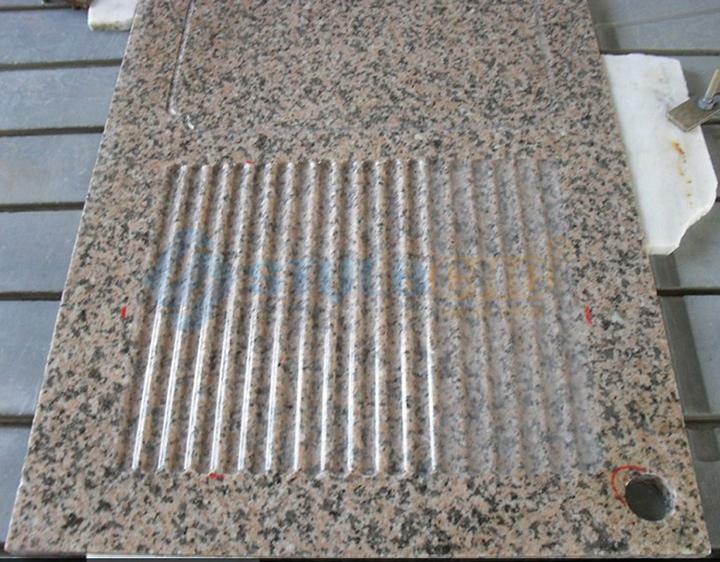 Granite stone can be layered carving to 3mm. 3. 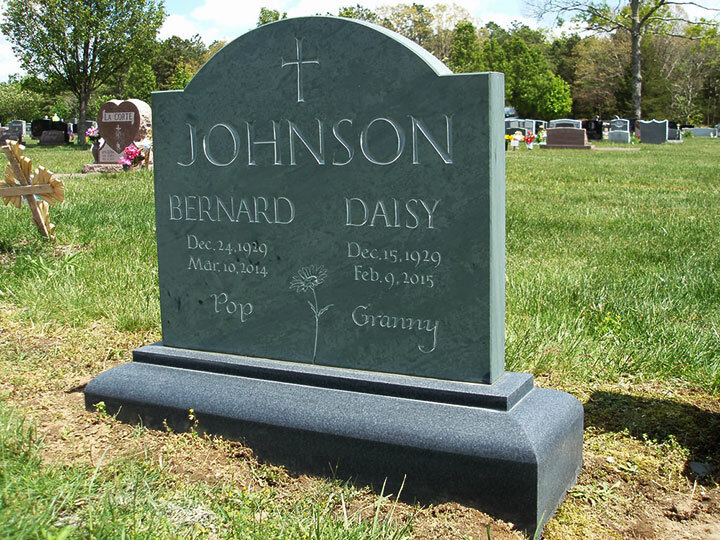 Marble, bluestone can be carved to 3mm on time. 4. The best stone CNC router can carve characters, letters, pattern, intaglio, rilievi, handwriting, ancient calligraphy, abrazine colored drawing, flat carving colored drawing on stone, glass. The depth can be controlled optionally to reach the artistic effect. 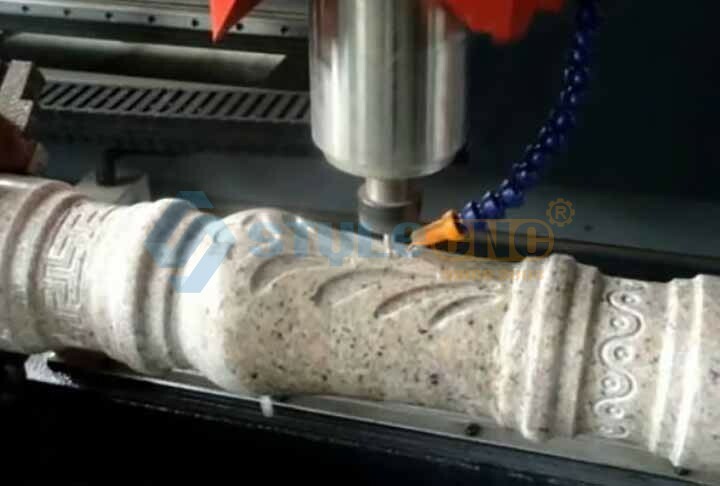 Customers can get detailed operation manual and instruction video of our CNC stone router. We will make sure that customers can operate machines skillfully. 2. Machine operation and maintenance. 3. Instruction of technical parameters, as well as their setting ranges. 4. Solutions for common problems. 1. One year free maintenance, lifelong caring. 2. Free technical consultant and software updating. 3. Customer Service responding in 2 hours. 4. Continuous support with software and hardware after free maintenance. 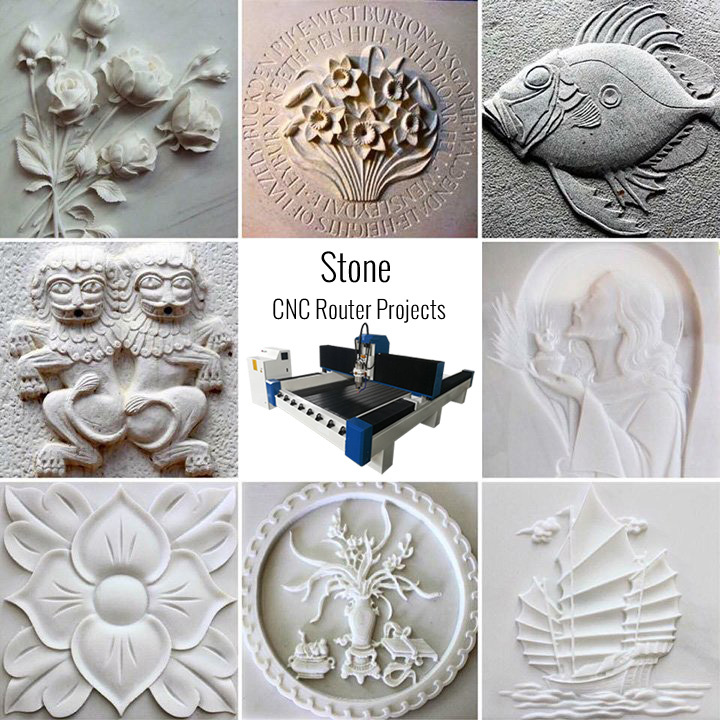 License: The text of "Affordable Stone CNC Router for Sale with Low Price" by STYLECNC is licensed under a Creative Commons Attribution 4.0 International License. I bought this stone cnc router in November and love it very much. It arrived way ahead of schedule. The machine is rock solid and the spindle operates quietly, not like a router in my old unit. I just finished a stone engraved and am happy with the outcome. I had some interaction with the vendor and she has replied to my e-mail promptly and in a professional manner. I would recommend this machine and vendor highly on any purchase. Absolutely AMAZING! I am new to the CNC world and this cnc router machine is incredible for beginners. As a Process Engineer by trade, I can totally give credible feedback in the instructions and assembly process. Perfection! Thanks for making this so easy for me to get into the CNC world. Великолепно справляться с проблемой. Продукт появился, как и было обещано. Сработал бы снова.